It’s that time of the year again! The biggest and most prestigious festival of creativity – the Cannes Lions International Festival of Creativity, will kick-off in less than 2 weeks. As the official representative of Cannes Lions in the UAE, Motivate Val Morgan strives to bring you the very latest from the desks of Cannes Lions. The 2018 Programme is Now Live! 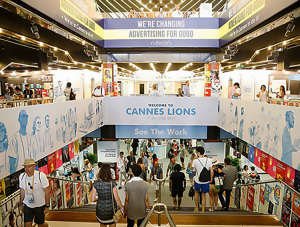 This year’s Cannes Lions Programme features more brands than ever, hot topic debates, power hours, gameshows, interactive sessions, creative legends on stage, five days of innovation and much, much more. Hundreds of world-class thinkers, award-winning creatives and brand marketing leaders from across the globe have already been confirmed as Cannes Lions 2018 speakers. They’re ready to inspire you across the nine content tracks. 413 jury members have been chosen to award and celebrate the best creative work from around the world. This year’s juries are composed of individuals from 50 countries, including for the first-time representatives from Georgia, Nigeria, Kenya and Sri Lanka. Continuing the drive for a more diverse mix within the jury room, this year includes 46% female jury members, as well as a wide mix of creative agencies, brands, media owners and production companies. The best creative work deserves its own space. Introducing The Work: a new online space for all Cannes Lions winning creativity since 2001 – including all 2018 entries. Share ideas. Remind yourself of the best – so you can do better. Research a sector or brand – fast. Or just to explore for inspiration, to crack that uncrackable brief. 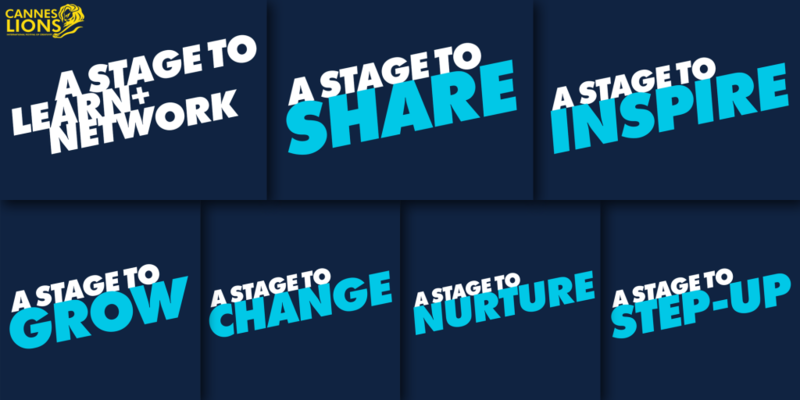 The Cannes Lions community represents the industry at all levels – and provides ample opportunity to make new contacts. Whether it’s on the beach, at the bar, or at one of the Festival’s daily networking events, you’re sure to meet the people you want to talk to. We don’t need to convince you that Cannes Lions is the year’s unmissable communications festival. It’s the only global meeting place for the whole marketing and creative communications industry after all! But, it’s sometimes hard to make the case to those that control the budgets. To help, Cannes Lions have created the ultimate ‘convince the CFO’ kit, packed with resources that will help your discussion. 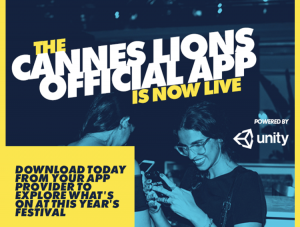 The Cannes Lions App is Live! The Cannes Lions App puts the Festival firmly in the palm of your hand. From mind-opening talks in the Palais to out-there experiences at the Festival Fringe, there’s more to do than ever and we’re making it as simple as possible for you to curate your own week. This year, Cannes Lions, the City of Cannes and local restaurants have teamed up to create great value, fixed-price lunch deals during the festival week. This year’s Cannes Lions Festival will run from 18-22 June 2018.